In the second of the "My Motor Parkway Story" series, David Lamm, assisted by his daughter Cassie Lamm, provides the introduction and chapter one of his "lifetime of exploration of his blacktop-paved love affair." David's story is supported by images from my collection. As a young boy, barely the age of 10 years old, I began helping my father, David Sr, to complete his early morning paper route in Queens, New York. Upon initially beginning my first job, it was hard to imagine that I would soon discover a treasure that I would end up carrying with me for my entire life. Some 55 years later, I still find myself completely fascinated by what I found on my very first day in 1961. Based on a lifetime of exploration of my blacktop paved love affair, I feel some sense of obligation to pass these stories on. As the road is now crippling and decaying, fewer and fewer people are keeping alive the memories of this once great innovation, a toll parkway that would connect the majority of Long Island by means of reliable transportation. I was blessed enough to have learned many of my lessons based on the knowledge passed down to me from influential people in my life and aim to compile my memories, and the general history of the road, for generations to come that are not as lucky to have first person accounts of this piece of history. "David, that's no railroad, that's the Old Motor Parkway." Intrigued, I continued my questioning by simply asking "What's a motor parkway?" "Not a motor parkway", he corrected, "The Motor Parkway. It's been closed to motor vehicles since the late 30's, made old fashioned by new and improved roads." "Who built it?" I enthusiastically continued the conversation. "A very wealthy man. He was called Vanderbilt. In fact, I believe that some people call it the Vanderbilt Parkway," he answered. He continued his story and told me that, as he could remember, it was a privately owned toll road that my grandfather had once ridden all the way out to Lake Ronkonkoma in one of his many Packards. On my car ride home that day, riding along the Grand Central Parkway, I could not help myself from thinking constantly about that road. I found myself dreaming of someday being able to ride or walk all that was still left of it. One thing I can tell you for certain is this: the paper route became my favorite new routine. Although it meant waking up in the dark at 3:30AM, I knew that if I was able to run the papers to the doors fast enough there would be ample time for exploration of what i could find of that old road. On sunny days, if we completed our task in a timely fashion, my father would allow us to park the car. We could walk up onto the bridge and hike along its remaining pavement. 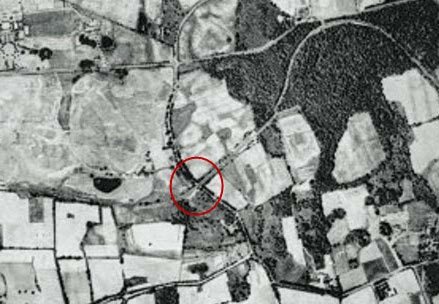 One day we discovered that if we circled around the freshly debuted Clearview Expressway, we could access yet another bridge. 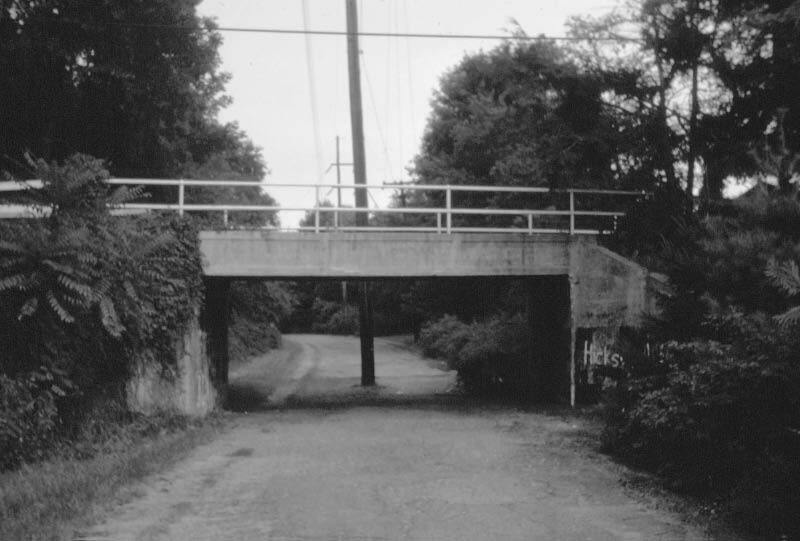 My father pointed out that to his best recollection, we could take this bridge nonstop to Alley Pond Park. He told me that he and his school friends would often find themselves spending their days hiking along that very path in the mid-1940's. One Sunday two of my brothers, my father, uncle and I decided to all go for a ride on our bicycles after dinner at my grandmother's house on 185th St. We rode along Hillside Ave. and if my memory still serves me well, had to climb a very steep hill on 188th St. After riding along a series of side streets we had finally made it to the entrance for the Motor Parkway on Hollis Hills Terrace, just east of the Clearview Expressway. We all rode together in a group and listened as my uncle and father pointed out their known highlight along the route. Often times they were making recollections of their childhood memories when my father, as a boy in the 1940's, hiked along its path. Other memories came from my uncle, who being the older of the two brothers, had actually gotten the opportunity to ride the road in a car. On the return trip late into the afternoon and near dark we rode public streets back to my grandmother's home. As the weeks went by, so did my continued line of questions and anticipation for the moments I would spend on the long closed parkway. Eventually, I found myself in a classroom in New Hyde Park where I would try to explain this road to my friend Thomas. To my total shock and happiness, he told me that he was also familiar with the road. His father was a scout master and often found himself with the other scouts marching along the road to reach the Boy Scout Camp on Shelter Rock Road. Immediately, my excitement began. There was a new portion of the road, and someone I knew might be willing to show me where exactly the road was located. On a warm afternoon, a Thursday if my memory serves, he finally revealed the mysterious new piece of the path to me. 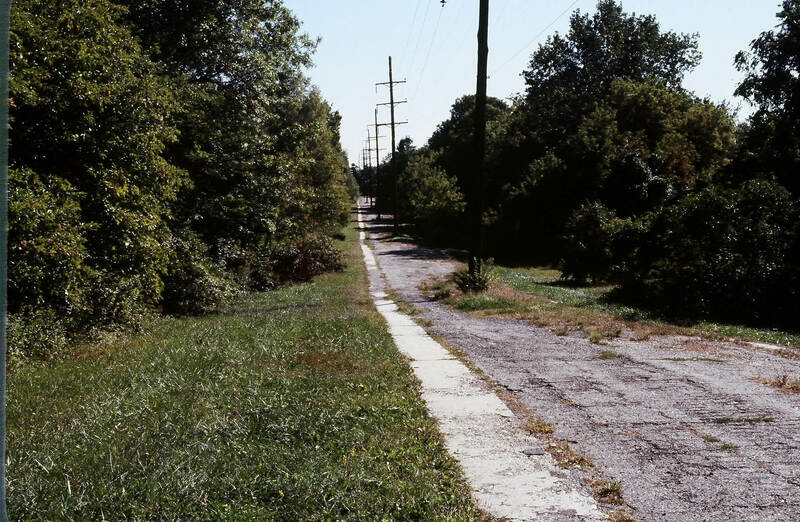 The walk had begun at Thomas' home and continued onto the functioning Old Courthouse Road. Along our walk we noticed bulldozers tearing up farmland and giant old estates. I realized we were walking along the gateway to the famed Gold Coast of Long Island. 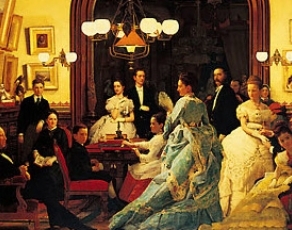 This was the glamorous playground to the ultra-elite and I was on a hunt for one of their residents most prized accomplishments, the parkway built by Mr. Vanderbilt and his local investors. 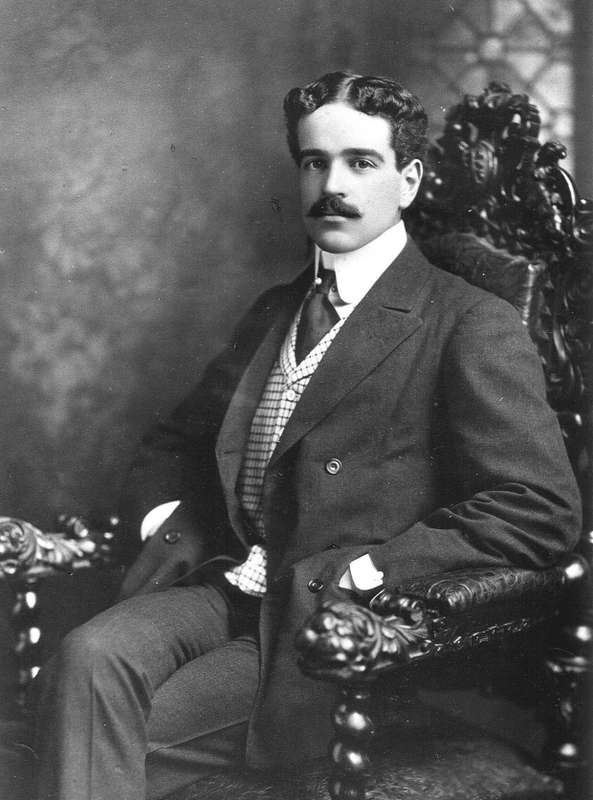 Willie K. Vanderbilt Jr. had convinced many Gold Coast families to invest millions of dollars into constructing their own private road that would promise to offer them fortunes beyond belief by means of toll money, just as his family had previously done in the Railroad industry. The Vanderbilt's were known for their innovations in transportation and shipping and Willie planned to continue this family tradition in his modern world. In an effort to create the best possible travel route, no expense was spared to research new and advanced techniques. One of these was a type of paving that is today known as soil cement. The concoction is a soupy mix of concrete that is poured over a wire mesh. 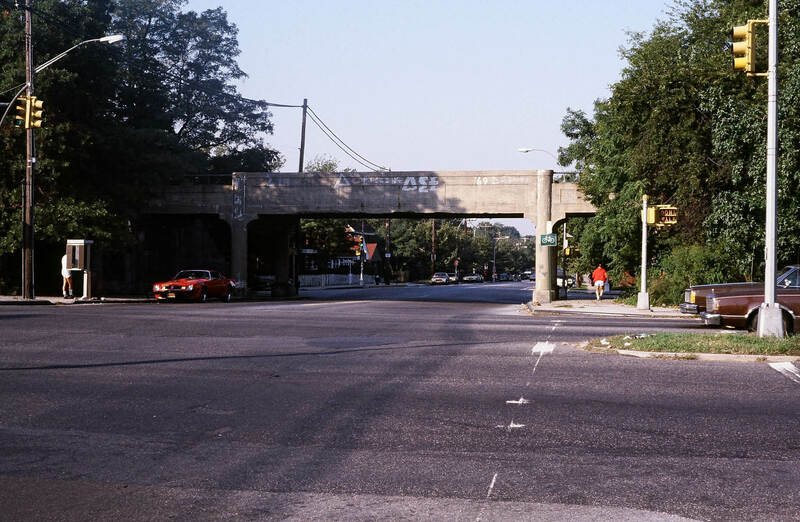 This revolutionary style of paving allowed for the Motor Parkway to feature what is possibly the first use of concrete overpasses in America. 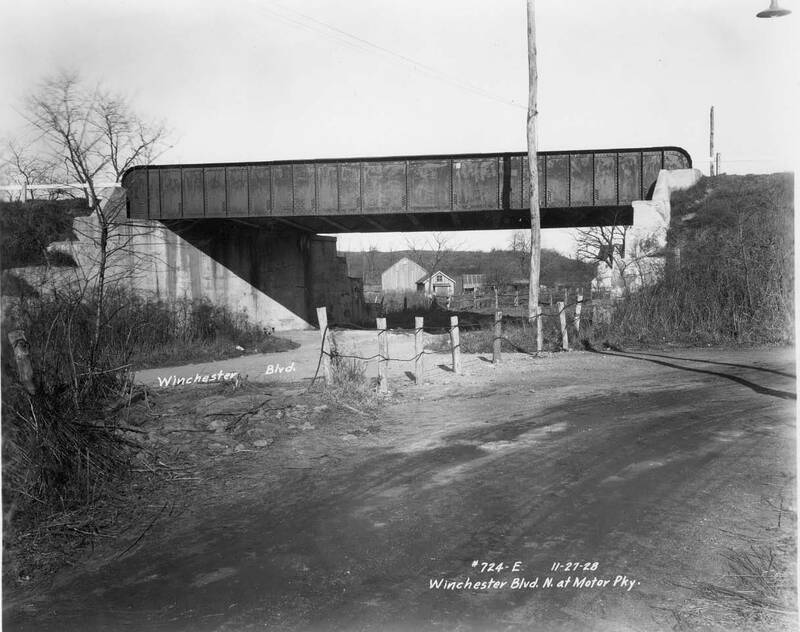 On that walk, and all the others, I often found myself thinking that with one overpass at every intersection, the project must have been a massive undertaking when it began. After walking through the torn up remains of one portion of the infamous coast built on gold, Thomas and I had finally reached our destination at the very end of Old Courthouse Road. I spotted a small bridge and below it, that beautiful road I was obsessed with stretched for as far as my eyes could see. My greatest happiness was the realization that the road remained in still excellent condition due to the fact that at that time the old road had only been closed for about 25 years. I noticed huge wooden telephone poles running down the middle that carried high tension electric wire above. I immediately wondered why they were there and knew that even if I could openly explore I still had many questions I needed to seek out the answers to. Quickly into our visit we realized that it was getting late and had to reverse our entire trek to arrive home in time for supper. Despite not having anywhere near my wanted time on the road, I knew I had accomplished a gigantic goal that first day. I had seen what I had come for and knew the route to find it any time I could. I was ready to plan my next adventure and focused on it for most of the night barely able to fall asleep in my excited state. Great story so far. I can’t wait to hear more! Very similar to my own story a few years earlier. I’ve enjoyed this series David & Cassie Lamm have contributed. I feel David’s excitement as a boy who set out to learn more about the mysterious closed roadway. I hope there will be more of this series…. Looking forward to more in the series. 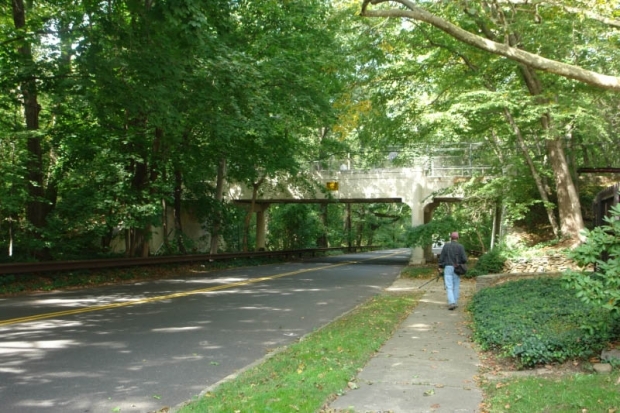 It takes me back to the fifties, when our Boy Scout leader took us on hikes on the motor parkway on the section that was just east of Hicksville Road and north of Hempstead Turnpike. We reached it from a dead end street in a housing development in that area. David, thanks for your recollections. I get the same kind of excitement when uncovering a new portion or relic of the Parkway, even though its much harder now a days to find some new path or post (but the excitement grows each time). But also much easier with the internet andGPS technology. Guess you have to blend the old with the new. By the way I’ve gotten a number of friends interested enough to hear me talk about the Parkway and give a tour of what remains. Thanks again! I had a similar experience with my father when we went under the bridge on Springfield Blvd when returning home from visiting family who had moved to Floral Park. It continually nagged at me and probably when a bit older began writing for info from the Historical Society which referenced other sources. Our family then also moved to Floral Park and I began poking around in earnest and around 1960, I took my 8 yr old brother and we walked from Winchester Blvd westward crossing a then under construction Clearview XWay and continued southbound roughly where the road would have run down to the LIE. Continuing the “search” in later years, I’ve scoped out (where I could see) some sections and walked others in Bethpage Park and Melville. There’s no explaining to others what holds out interest for so long about this piece of our youth and history. Another fun rememberance of the LIMP, Thankyou David & Cassie. With enough of these memoirs, another book can be created about the parkway. David, great memories of our past. Reading this brought the smell of early mornings and newspapers to my mind. And rushing to get done to explore. I can remember walking the Parkway from Harkness Boy scout camp to New Hyde Park Road. Hope to read more of your memories in the near future . Dad would love to read this story.